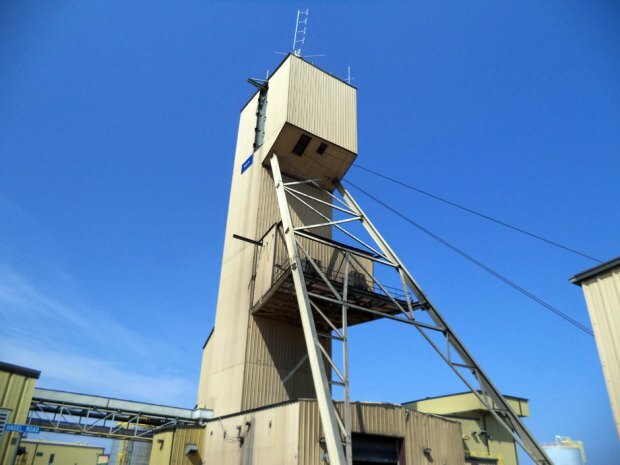 Although Cameco's Cigar Lake looks good now, the uranium mine faced decades of problems before finding an innovative solution that allowed it to access the deposit. Stepping out of the shaft and into the underground workings at Cigar Lake, it is hard to believe that anything ever went wrong here. 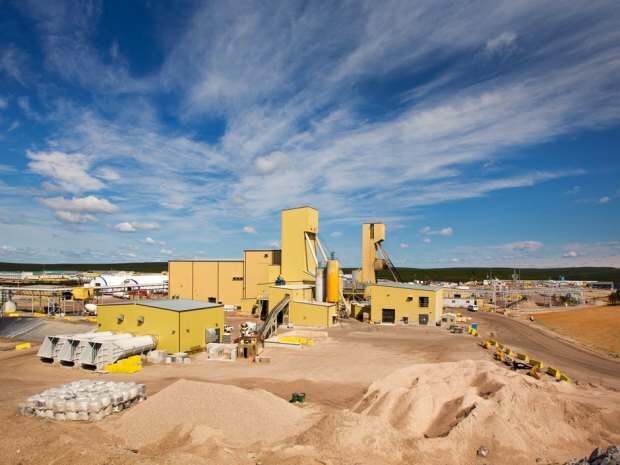 The Northern Saskatchewan mine looks pristine and ready to go. A massive jet boring system 480 metres below the surface has begun extracting uranium ore from the deposit by pumping water upward at supersonic speed. Other tunnels are filled with a dizzying network of storage, piping and processing infrastructure to handle the incredibly rich ore and deal with the incredibly poor ground conditions. Along with the nearby McArthur River mine, this is easily the richest uranium operation in the world, with grades that are more than 100 times the world average. In terms of complexity, it’s roughly a million times the world average. It took 33 years of work to move Cigar Lake from discovery to production. The very fact it exists is a credit to human technology and engineering. But until recently, it didn’t feel like such a triumph. When a crew tried to step out of that same underground shaft in February 2010, they could barely take a step. The crew was the first one to enter the mine after a devastating flood in 2008, that that came on the heels of one in 2006. The two disasters cast a black cloud over Cameco and made a lot of people wonder if the Saskatoon-based company could ever get this mine working properly. Recovering from those floods was a monumental task, and a lot of the credit has gone to Mr. Gitzel, who joined Cameco in 2007 and helped the company get its eye on the ball after numerous operational failures. Cigar Lake, named after the cigar-shaped water body it borders, was discovered in 1981 by geologists working for France’s Areva SA, which is a minority owner in the mine. A corporation was set up to develop the project in 1985, and the early 1990s were spent trying to figure out how to extract the uranium. Even then, the companies knew they had a problem because the ground conditions were so terrible. The ore body, which is roughly 450 metres deep, is overlaid with highly unstable sandstone. Underground infrasturctue at Cameco's Cigar Lake uranium mine. The companies realized the only way to safely mine the deposit was to go under it and drill upward. After studying a few options, they settled on an innovative process called “jet boring,” which they finally implemented more than 20 years later. Miners spend about a year freezing the rock with ultra-cold brine. Then they bore through the rock from below using high-pressure jets of water that move at 1,600 kilometres an hour through a nozzle. The water flow is powered by four pumps using 800 horsepower each, or the equivalent of about six semi tractors, Cameco says. A slurry of uranium ore and water is flushed down into the tunnel from the ore body above, where more water is added before everything is pumped into storage tanks. The ore is then broken down in an underground mill and transferred to a thickener. Finally, it is pumped to the surface and shipped to the nearby McClean Lake mill for processing. Cigar Lake was on the back burner throughout the 1990s when the uranium market was weak, but began construction in 2005. Cameco was very confident about development, figuring it could get the whole thing up and running by mid-2007. That would all change on Oct. 23, 2006, when some of the rock gave way and the mine began filling with water faster than Cameco could pump it out. The company desperately tried to contain the flooding by closing two bulkhead doors. But one of them failed to seal, and the entire operation flooded. Cameco had made a crucial mistake: it drilled and blasted too close to the unstable sandstone in the Athabasca Basin, and the rock on the roof started to chip and break. An independent investigation placed the blame squarely on Cameco, saying the company’s actions were deficient. The Canadian Nuclear Safety Commission (CNSC) also ripped Cameco, saying the firm has a “problem with safety culture” and did not have the necessary controls in place to prevent flooding. The headframe of Cameco's Cigar Lake uranium mine. He said the company got complacent and lost its focus on performance. But another factor is that it simply did not realize how fast the water would come in and how much pumping capacity was necessary to get it out. The whole disaster gave the miner a “much healthier respect” for the Athabasca Basin, he says. The flooding was a huge setback, but at least Cameco knew how to deal with it: Plug off the opening, pump in concrete and de-water the mine. The de-watering process began in mid-2008. But within weeks, there was a problem: the water level was rising again. In a sense, this flood was scarier than the first one, because Cameco had no idea where the water was coming in. It did not appear to be the same spot as the 2006 incident, but no one knew for certain. Eventually, they figured out the water was coming in at a completely different level of the mine from the original flood. Cameco ended up sealing it off with what Mr. Gitzel describes as a “huge bread bag” provided by a Wisconsin firm called Peterson Products Co. It was filled with concrete underground, and used to stop the inflow of water. Taking no chances: it plugged off that entire section of the mine with concrete. The company knows it cannot have another flood at Cigar Lake. But it also knows there will be more water inflow in the future. 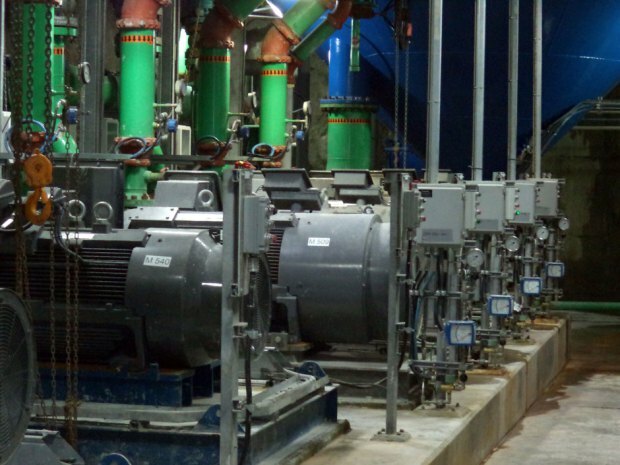 As a result, it has installed a staggering 2,550 cubic metres of pumping capacity at the mine. That is more than double the inflow rate of the previous floods, meaning it would take an all-time gusher for this mine to flood again. Construction got back on track once the crews got underground in 2010. More than four years later, in March 2014, the first truckload of ore finally left the mine for the McClean Lake mill. Mr. Gitzel and other Cameco employees stood outside and cheered in the frigid cold as the truck departed. The celebration was short lived. In July, Cameco temporarily halted jet boring after determining that ground freezing was not happening as quickly as expected. The delay demonstrates there are plenty of difficult days ahead at Cigar Lake — Cameco does not expect to hit full output of 18 million pounds a year until 2018. That leaves room for plenty of hiccups, and there will almost certainly be more along the way. A mine that was supposed to cost $450-million and reach production in 2007 ended up costing more than $2.6-billion and reaching production in 2014, but along the way the company has learned a lot. “For anyone who wants to play in the Athabasca Basin, I’ll tell you it is a delicate, technically challenging, geologically complicated place to operate,” Mr. Gitzel says.